Did the Cleveland Cavaliers Actually Lose in Boston? The Cleveland Cavaliers took care of business Sunday, with a 101-93 victory over the Boston Celtics. Not only did this win complete a first-round sweep, but it was the organization’s first successful playoff series since 2010. Clearly things are moving in the right direction for this young Cavs team, who can now get some rest before their next round begins. Right? Not exactly. The Cavaliers may be advancing to the Eastern Conference semifinals of the 2015 NBA Playoffs, but the latest accomplishment didn’t come without a cost. 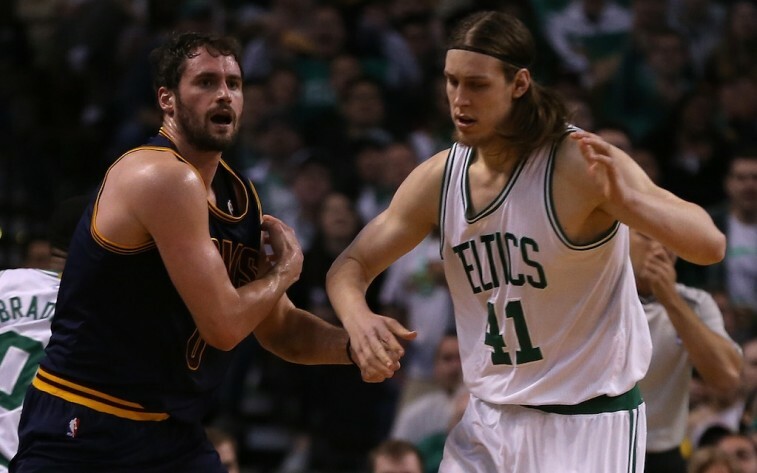 With 5:22 remaining in the first quarter, Cleveland’s Kevin Love dislocated his shoulder after getting tangled up with Boston’s Kelly Olynyk. The two were fighting over a loose ball when the incident occurred. Olynyk was called for a foul on the play, and Love immediately darted to the locker room holding his shoulder in pain. This whole situation did not sit well with the Cavaliers forward. This was a hard-fought series that featured tough play by both teams. However, this matchup may have been a bit more physical than predicted. Unfortunately, despite winning the series, the Cavs may have suffered a greater loss in the process. Following his injury, Love was forced to sit out the remainder of Game 4, but now it appears he may be sidelined for an extended period of time. While the team still needs to run more tests, ESPN’s Brian Windhorst is reporting that Love may be out of the lineup for a minimum of two weeks. This would be a crushing blow. Not only do the Cleveland Cavaliers lack depth on the roster, but Love’s ability to stretch the floor is vital for the club’s success on the offensive end. As if this wasn’t bad enough, the Cavs may find themselves even more shorthanded moving forward. To say the game got even more physical after Love left would be an understatement. 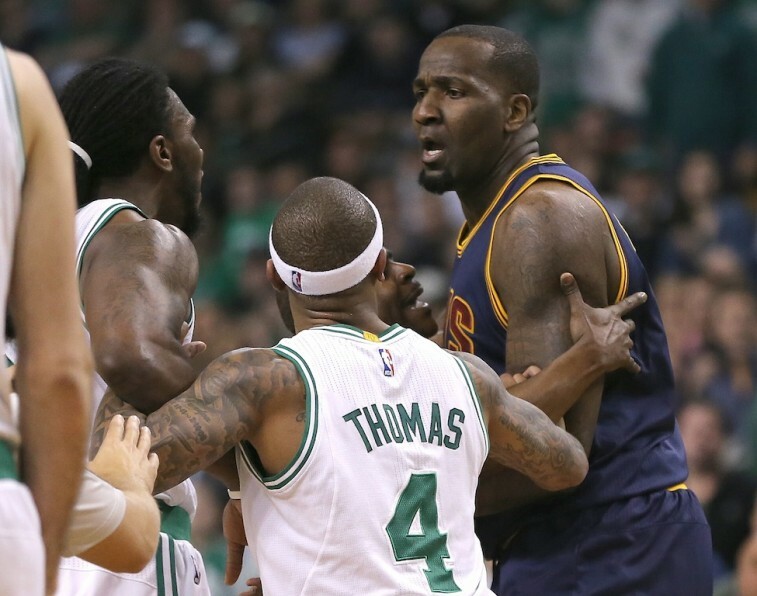 First, Cleveland’s “enforcer,” Kendrick Perkins, got called for a technical after jabbing Boston’s Jae Crowder. This exchange occurred after Perkins knocked Crowder to the ground will an illegal pick. But things wouldn’t end there, as Crowder’s night would continue to get worse. In the third quarter, despite his team being up 21 at that point, J.R. Smith didn’t appreciate Crowder leaning into his shoulder while he tried to gain position under the basket. Smith would show his disapproval by swinging his arm back and connecting with a shot against Crowder’s face. This would lead to flagrant foul-2 and an automatic ejection for the Cavaliers swingman. The league will review this play, and there is a good possibility that Smith may find himself suspended for a couple of games in the next series. As if losing Love wasn’t enough, now the Cavs have to deal with the possibility of losing another starter. For a series that was already on the physical side, Game 4 took things to a whole new level. Love was convinced that Olynyk went after him intentionally. 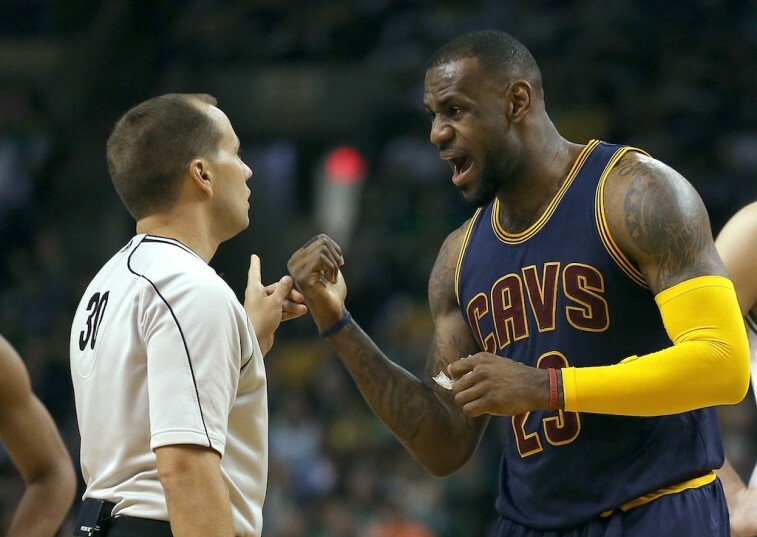 The Boston players strongly disagree with that sentiment, but LeBron James clearly took exception to the play. Prior to the incident, Love was having a monster start to his first playoff experience. He was averaging 18.3 points and 9.0 rebounds per game while also connecting on 47.1% of his shots from three-point range. It’s a shame that he’ll be forced to sit on the sidelines for a bit. The Cavaliers were by all accounts gelling, and this is will do nothing to help their continued quest for an NBA championship. Things aren’t all bad for the Cavaliers. James is still running the show, and Kyrie Irving is handling the pressure of his first postseason. But just when it appeared that Cleveland was going to advance past the first round completely unscathed, fate had a different plan in mind. Now, we suppose we’ll really get to see what this team is made of. The Cavs will enter the next round of the playoffs with no losses on their record. Given how things turned out in Game 4, it’s clear that that’s not really the case.